Choosing the type of graft to be used for an ACL reconstruction can be a difficult decision. You may or may not have a choice, depending on your physician. 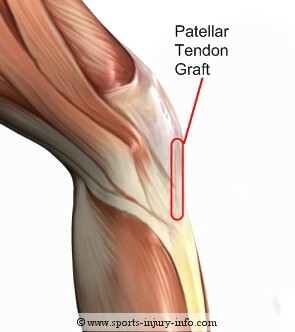 Many use only one type of graft, either the patellar tendon or the hamstring tendon. You should know your options, weigh the benefits and drawbacks of each, and then make a decision as to which you would prefer. Both graft choices have similiar overall results, but you may decide that one is a better choice for you. The patellar tendon is the connecting tissue for the distal end of the quadriceps muscles. It runs from the patella to the tibial tubercle on the anterior tibia. Most patellar tendons are about 30mm wide. The graft is harvested from an anterior incision on the knee.The graft from the patellar tendon is taken from the middle third of the tissue, usually about 10mm. Small pieces of bone are taken from both the patella and the tibia, resulting in a graft that has small bone plugs on either end. The greatest benefit of using a patellar tendon graft for an ACL reconstruction is the fixation of the graft within the knee. The small bone plugs on each end are the key to the excellent fixation. When bone heals, it regnerates itself, creating bone that is as good as the original. When the graft is placed into the bone tunnels, it is secured with small screws that wedge the graft into place. As the graft begins to heal, the bone plugs are incorporated into the tibia and femur, and the graft is securely fixed within the knee. Bone on bone healing does not rely on hardware such as screws to keep the graft in place after the first few weeks. 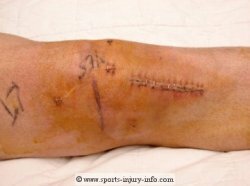 Other benefits of the patellar tendon graft for an ACL reconstruction is the make up of the graft itself. The patellar tendon has been shown to stretch less than other graft types in long term studies. This insures that the knee will remain stable, with a tight graft. There is also a lower need to have the fixation hardware (screws) removed after this type of ACL reconstruction. The biggest drawback of the patellar tendon graft is the fact that it disrupts the extensor mechanism of the knee. By taking the middle third of the tendon, the quadriceps and patellar tendon complex is weakened. 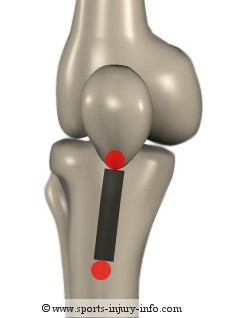 The quadriceps are an important part of the knee. The insult to the patellar tendon has been thought to contribute to a higher incidence of anterior knee pain after surgery, as well as the occurance of patellar tendonitis during rehabilitation. Range of motion may be slower to return after a patellar tendon graft reconstruction, as the knee is more painful due to the injury to the patellar tendon and anterior knee. If you have had an ACL reconstruction, or are getting ready for this surgery, I want to hear your story. Whether you have questions you want answered, or just want to share your experience, this is the place for you. The patellar tendon graft for an ACL reconstruction is a good choice for a strong fixation and less stretching over time. 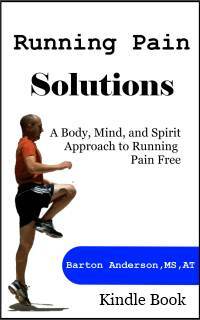 It may have a higher pain level, and range of motion may be slower to return. Choosing the right graft should be discussed with your physician, and your concerns should be answered before you enter into surgery.